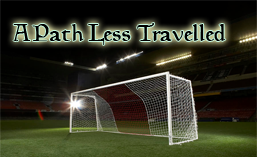 A Path Less Travelled is the culmination of a process which has been undergoing development ever since I picked up Football Manager 2014 for the first time in early 2014. I started out managing lowly Tonbridge Angels in the Skrill South and managed to be promoted in my first season. After that the bug was caught and I have been hooked ever since! I have tried to blog about the game on numerous occasions, but have never found the right way to do this. Yet the recording of the events is what makes the game interesting and the developing of players and the stories involved are where it is at to me. I think I have hit upon the right way to go about this now, so stay tuned and see what follows. I have added a wide selection of leagues and countries into the game. 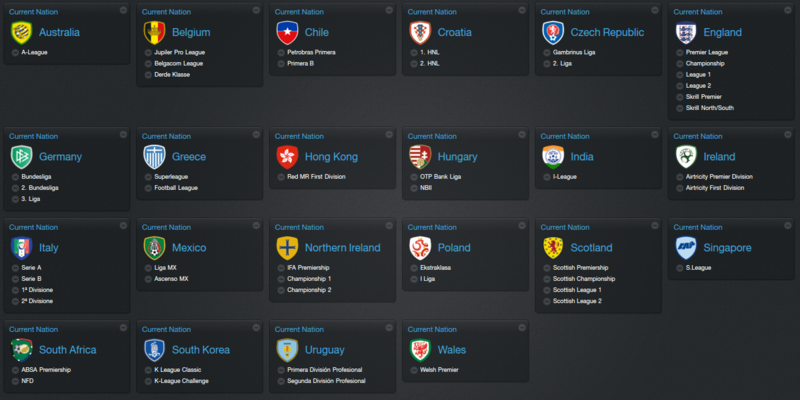 No leagues will be added, however I will be removing the lower leagues of some countries as time progresses. The game started once the European Transfer window closes in 2014 using the following leagues. Having made a mistake with the removal of South Korea, I am proposing that there will be no further changes to the leagues in the game. These are the only ones available to manage in for the duration of the save. 2031 update – As it turns out I did increase the number of leagues available, but this is the limit! Mr BadDragon is a Sunday League player with who has retired from playing at a tender young age. He is entering the game on his 25th birthday and is looking to make a name for himself. At the start he is only allowed to apply for jobs in the lowest tier of competitions. It could be a long road! To have fun. This is a career so the save will continue as long as the manager is in the game. He is starting at age 25 so that means 30+ seasons is possible. I do not see myself managing an international team as I don’t find that part of the game to be enjoyable. As this is about a journey, I am not seeking to build a dynasty. Instead I am looking to manage at at least 10 clubs in my 30+ seasons, maybe more if I get fired! The rules of engagement is not to build a dynisty. As such I have a number of rules I will enforce to make things interesting. Note that I have refined these rules slightly since inception. I must start in either Asia or Africa. I can not apply for positions in Europe before 2027. I may interview for positions where I am approached by the club. The following are guidelines rather than hard rules. I am looking for victories as well as jobs, so I will allow myself to be picky about where I end up. However, if I end up unemployed by force, then it is any port in a storm. You have to work to live. I am loosely doing a pentagon challenge so I can choose to stay at a club in the quest for a continental competition. Basically I have an affinity for this game version. The game play is not too bad and I am comfortable with the way it runs. I also like the control of graphics I have available for the stadiums plus the custom changes I have made to the skin I use. At the end of the day it is my adventure, so you’ll have to humour me! After all it is all about the journey. I like using players with no history before the game was started, and no bagage of reality to hang onto. I also like having player faces for players and with both hair packs installed I have a much better selection of looks for my players. Finally I like the fact that I have to find the good players myself. There is no list of wonder kids I can sign, because my game is unique. I like to think of my bloging style as being a Football Manager Comic Book. The objective is to cover all matches of every season in a manner that allows me to progress through the game in a reasonably quick manner. There isn’t much in-depth meaty content, instead we ahve lots of pictures and a few words to tie them together. So yeah, basically a comic book.